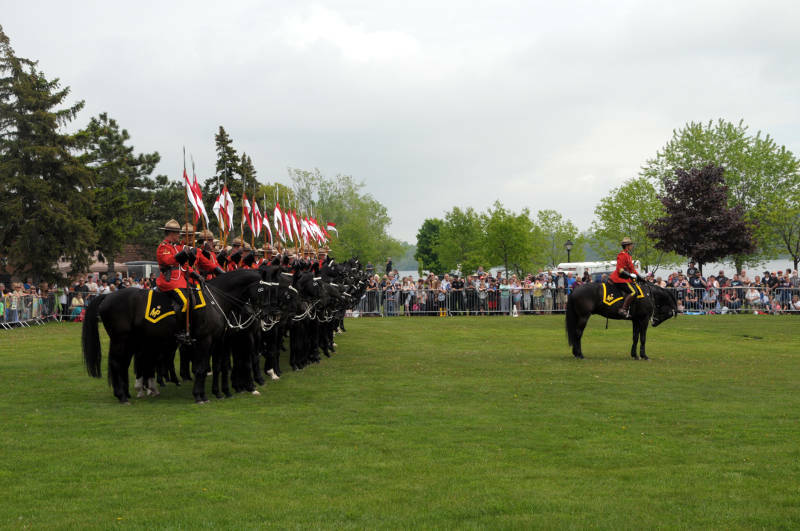 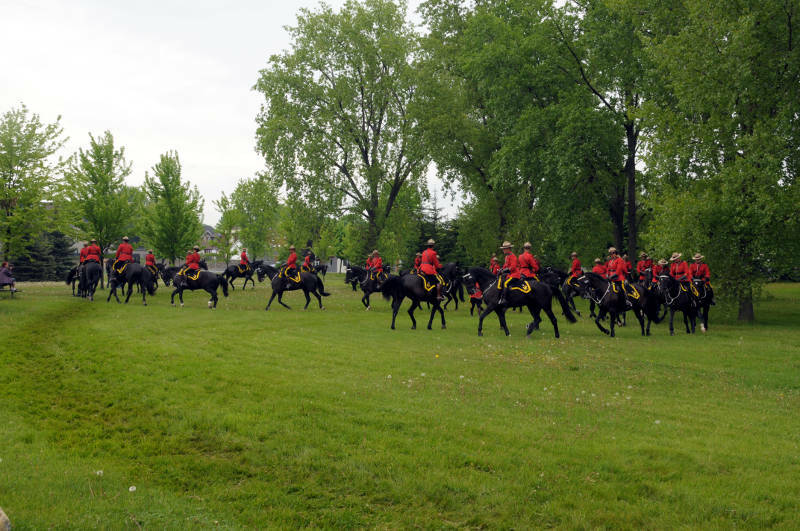 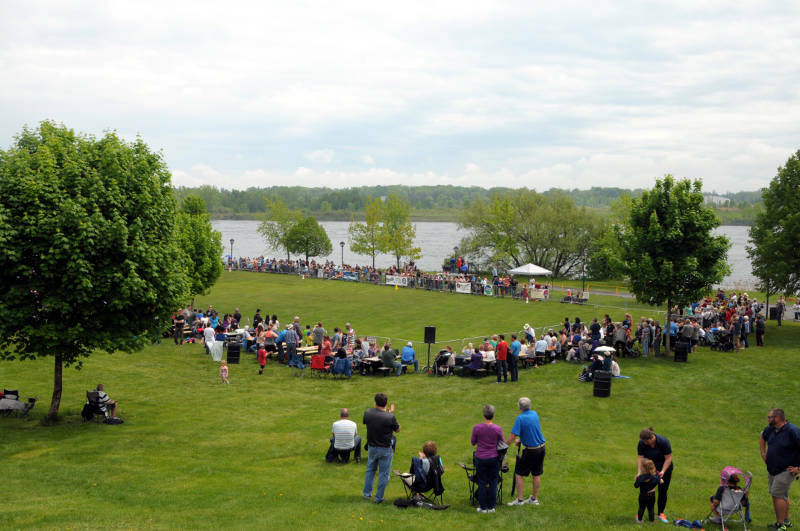 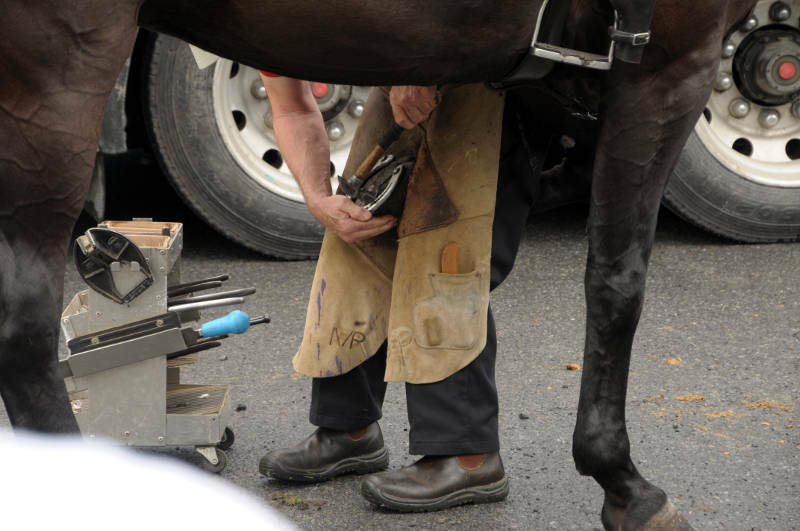 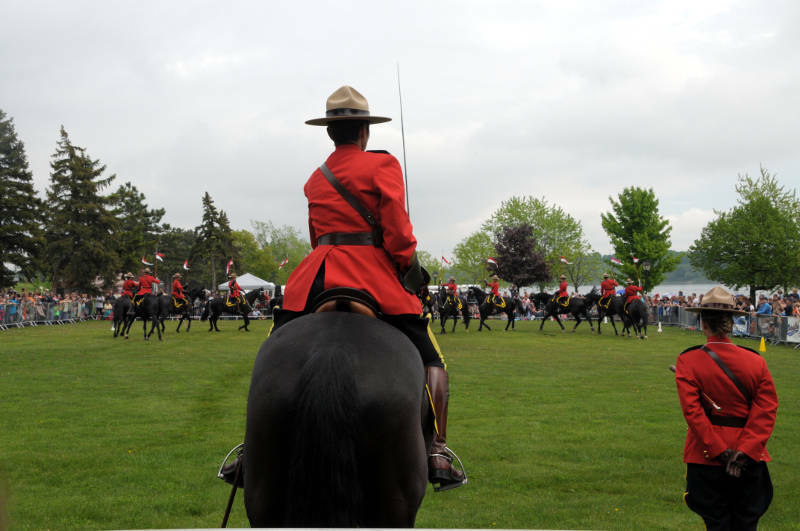 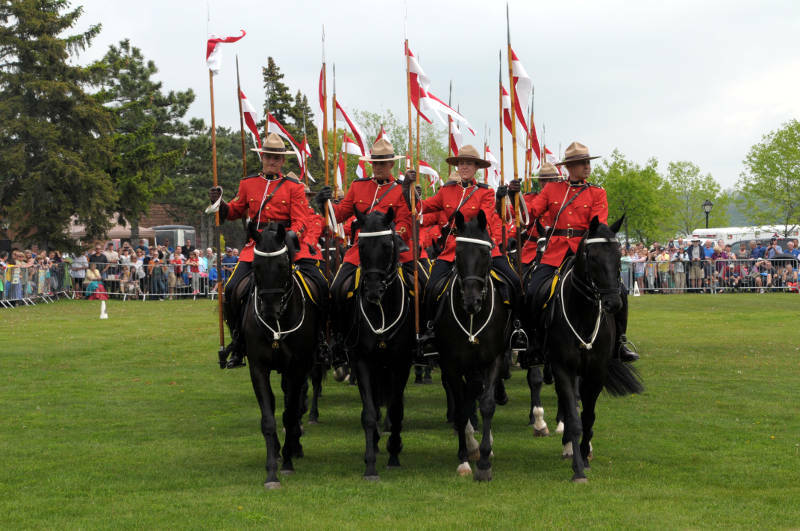 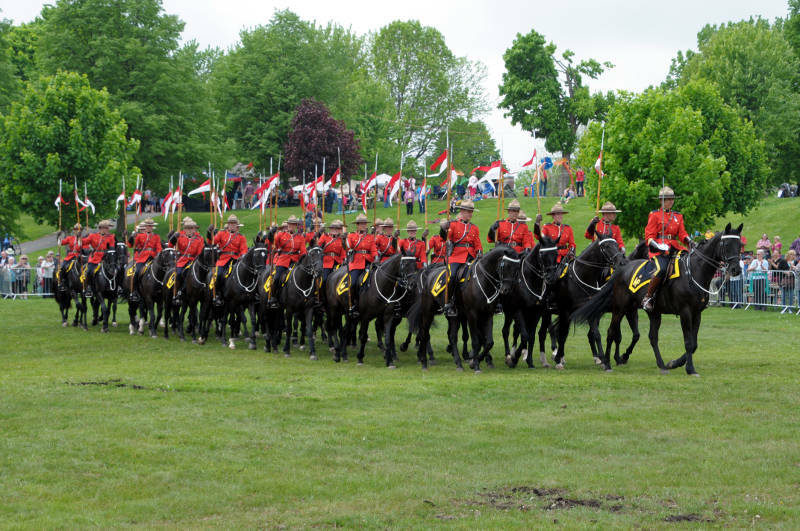 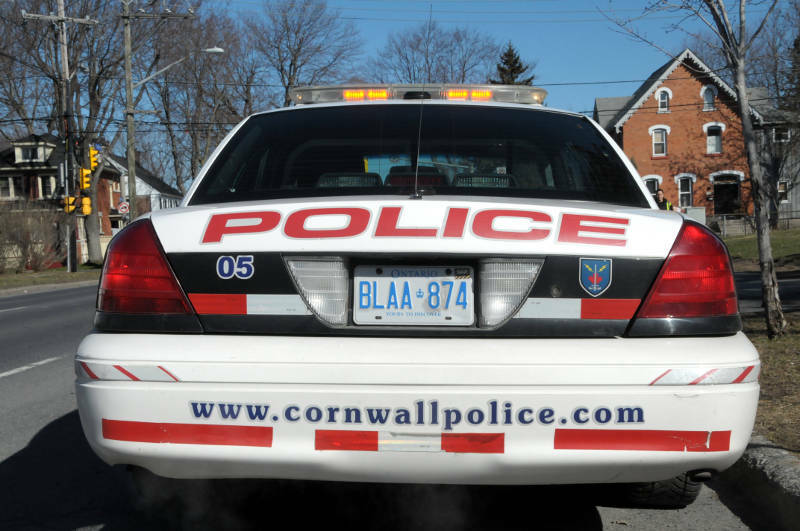 CORNWALL – The sky held back to the relief of hundreds of people in Lamoureux Park Saturday as the RCMP Musical Ride made a stop in the city. 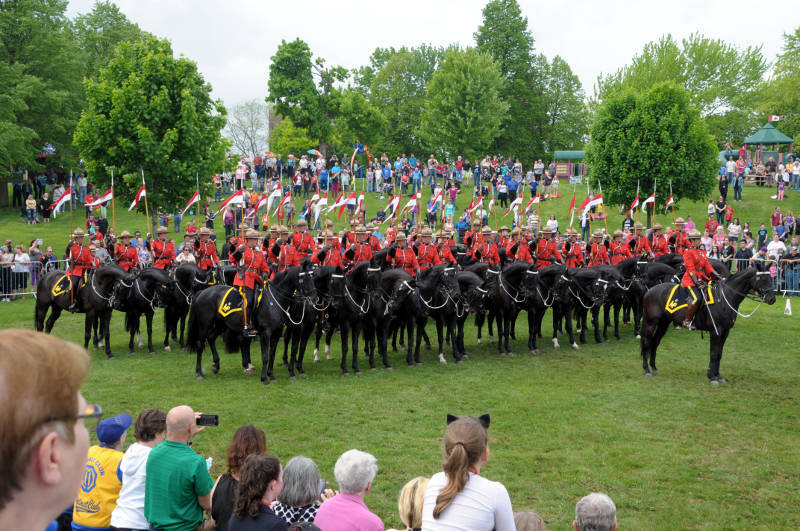 The choreographed performance of 33 horses and riders delighted young and old in an area west of the band shell. 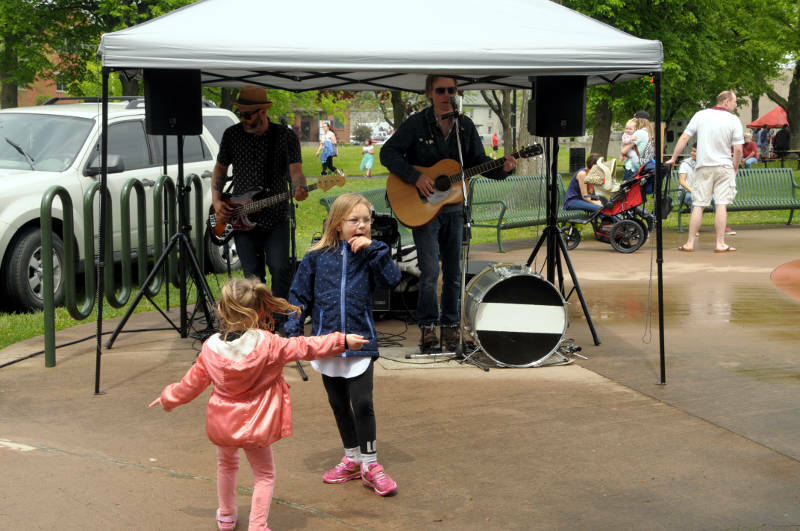 There were a few sprinkles of rain before the performance as the ride was practicing in the park near the Cornwall Curling Center, which also brought out a crowd. 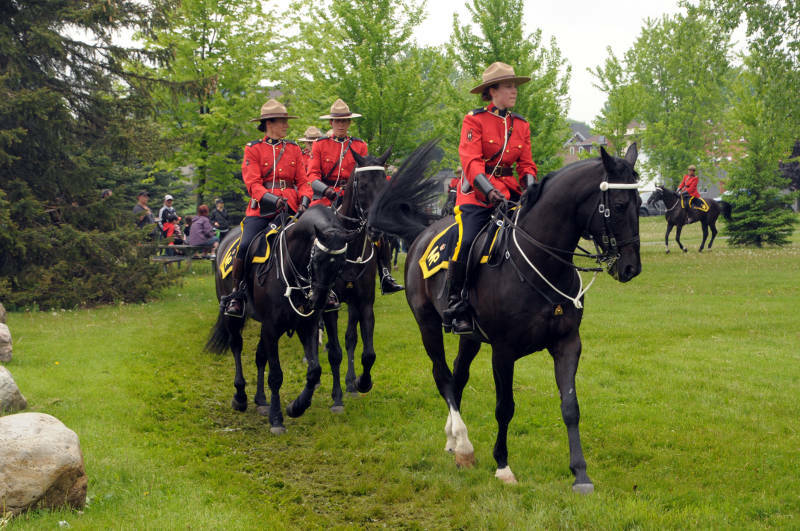 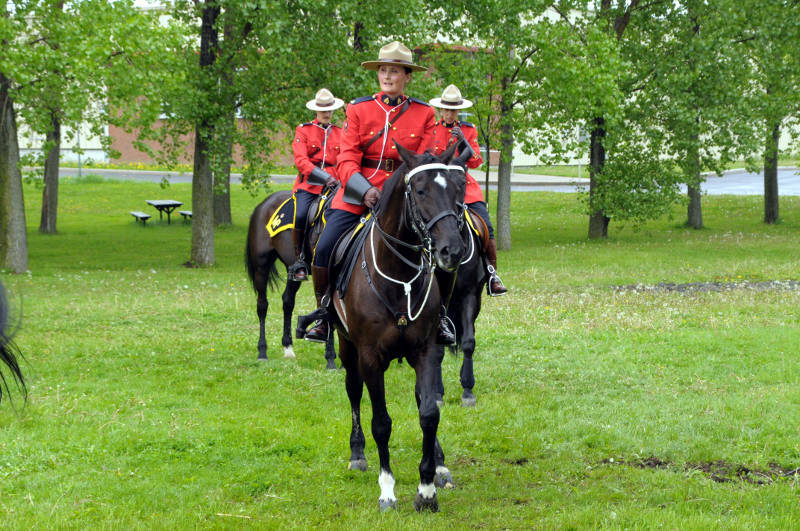 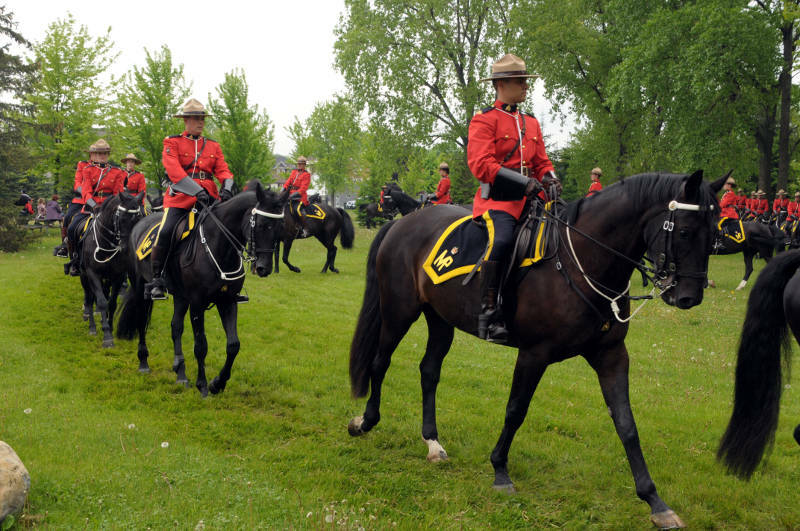 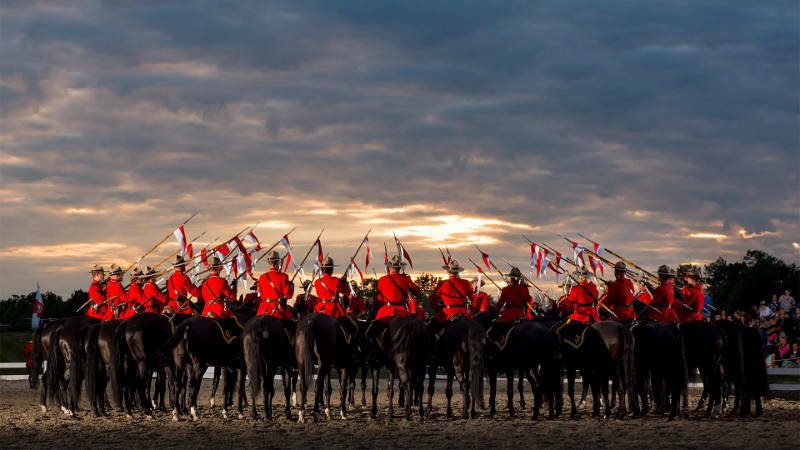 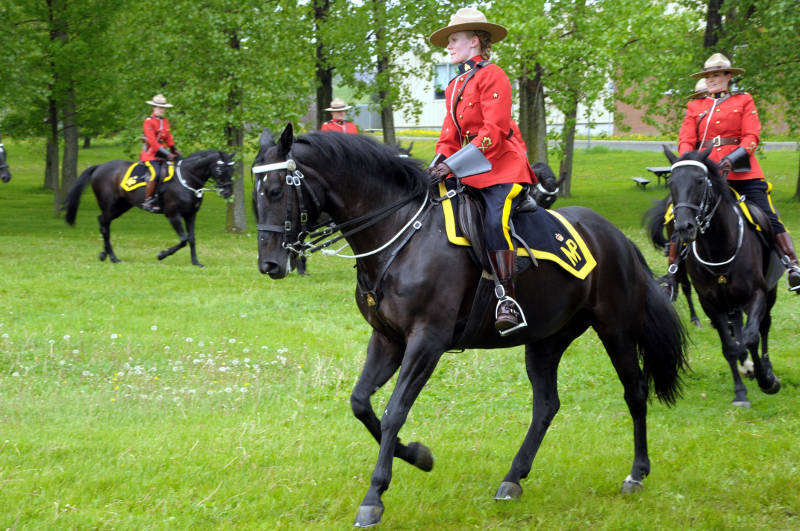 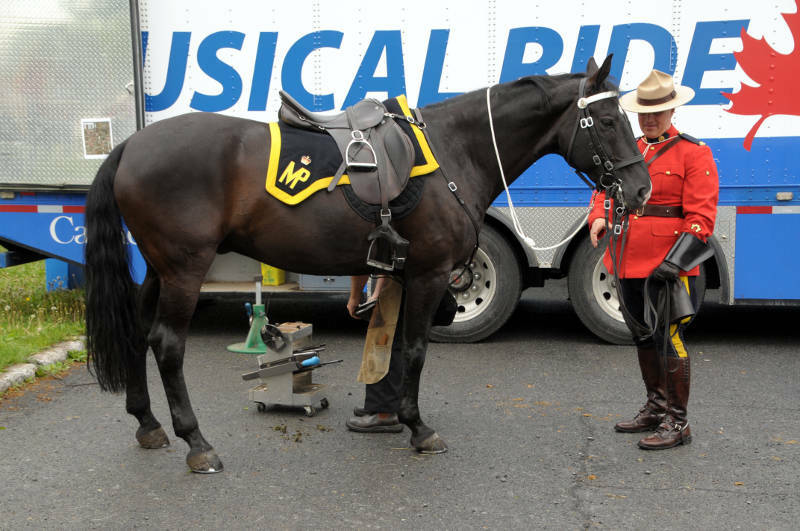 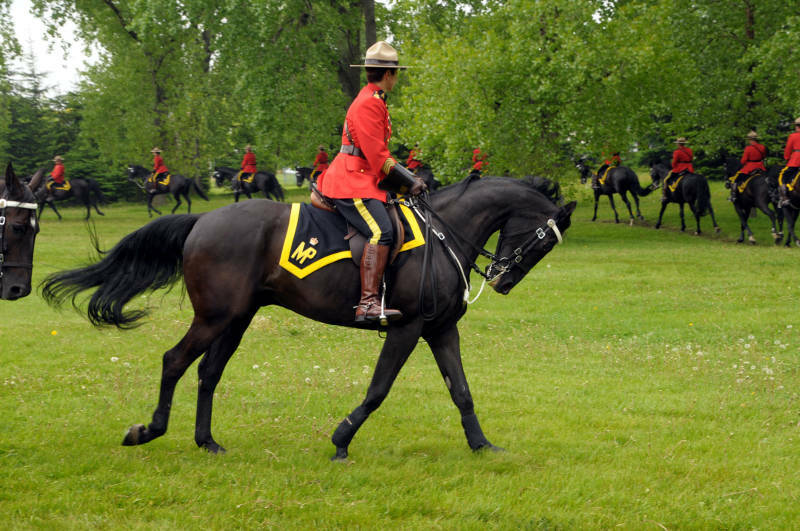 It’s been 20 years since the RCMP Musical Ride last came to the city. 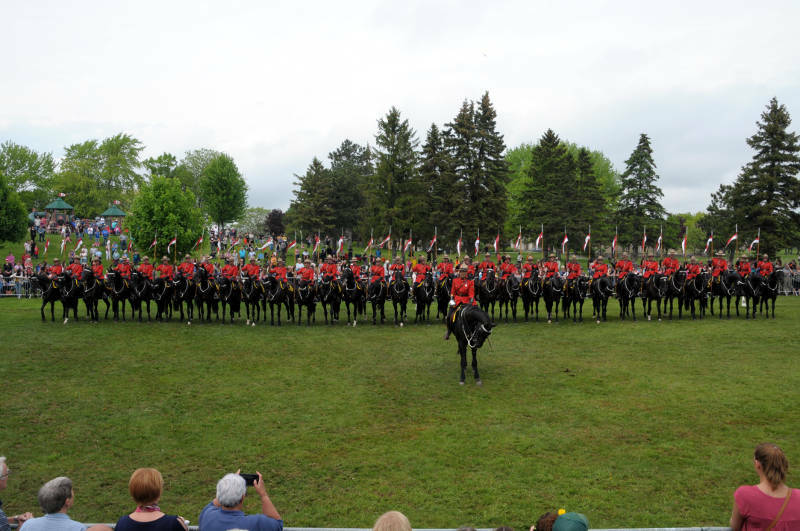 There are also tour dates this year throughout Ontario and British Columbia, as well as one engagement south of the border at the Topsfield Fair in Topsfield, Mass. 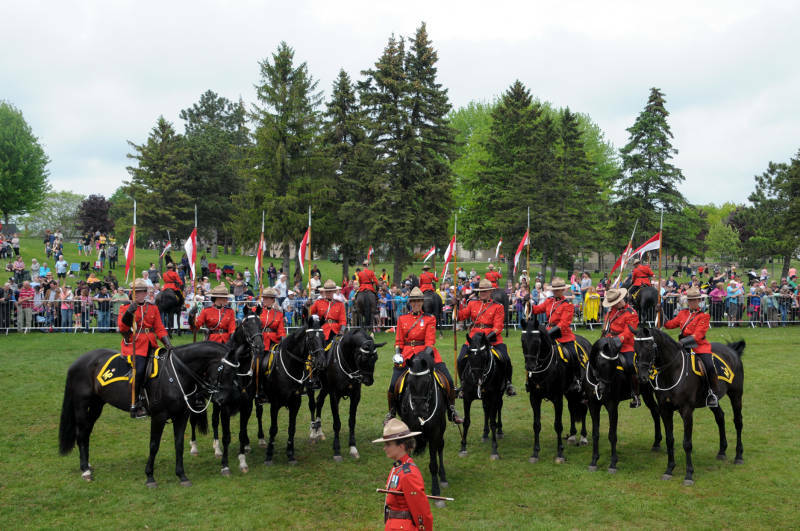 After the 40 minute performance, the audience got to be up close and personal with the horses and Mounties from a number of Canadian provinces as they stayed along the edge of the gated corral. 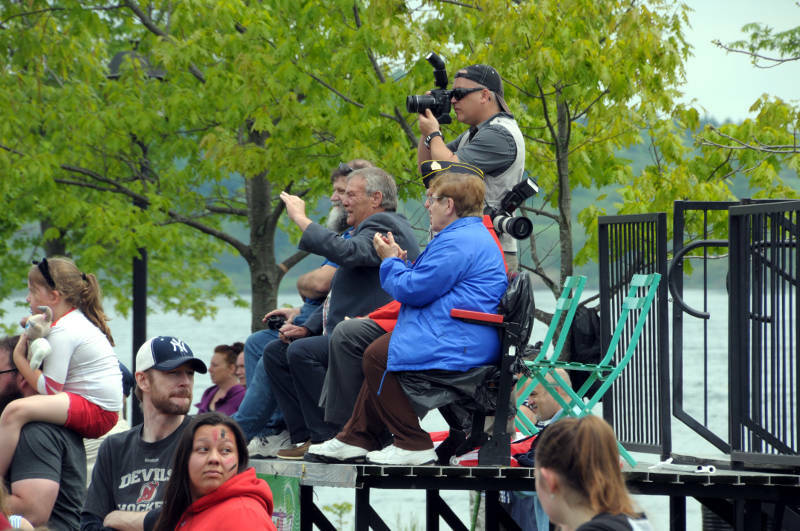 The event was organized by the Optimist Club of Cornwall in conjunction with the City of Cornwall. 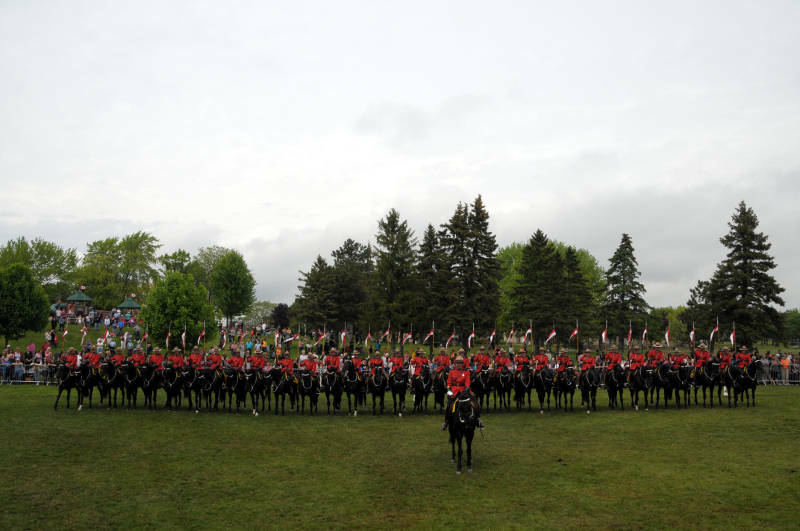 Click on a thumbnail below to see a gallery of pictures from the event and the practice before the ride.